At the heart of what we believe and do is the good news that God invites all people, separated from Him because of our sin, to be reconciled to God through Jesus Christ. Because of that we seek to reach out to more than Lancaster and place a large importance on missions. We actively partner with many different outreach partners to help accomplish this. Would you consider praying for them? Several of Grace's outreach partners send newsletters via email. If you do not already receive them, but would like to, please check which newsletter(s) you would like to begin receiving. 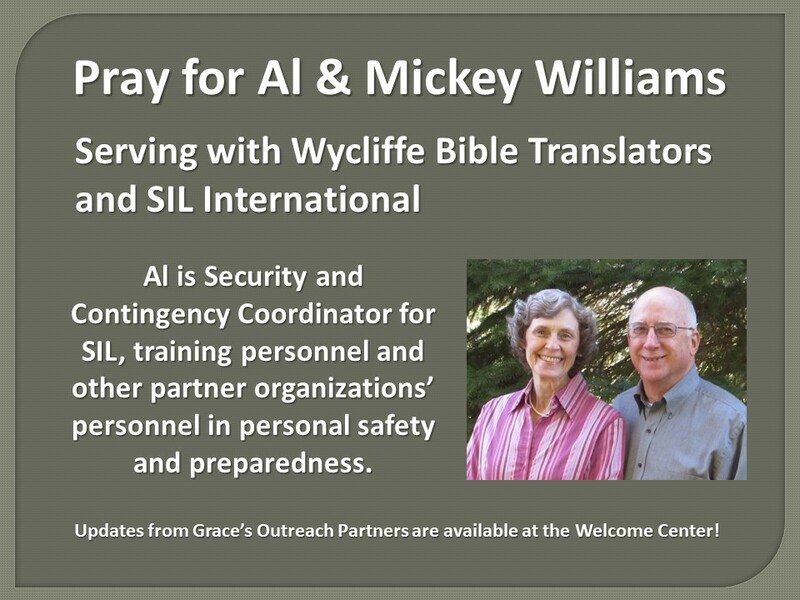 Updates from Grace’s Outreach Partners are also available in the foyer at the Welcome Center!